Enjoy a WELCOME BONUS PACKAGE up to £850 on the first 2 DEPOSITS plus 50 BONUS SPINS on STARBURST SLOT! Be part of the NETENT ADVANTURE £3,000 CASH STAKE SLOT TOURNAMENT! Every £10 wager equals 1 point into DRAW, minimum STAKE is £10 on Gonzo's Quest, Jumanji and Finns & the Swirly Spins SLOT GAMES only! Players can participate on WINNING WEDNESDAYS where you can get 15% WIN BOOST up to £50 every Wednesday! T&C's Appy! For a newcomer, the buzz Chelsea Palace has generated in a short span is simply impressive. It’s a Nektan-powered online casino, so their interface is instantly familiar to most players. They have over 650 high-tech games optimized for mobile play. Moreover, two high-authority gambling licenses and elite-style bonuses give players a good reason to register with them. Their max payout set at £250,000, however, might put off some high-roller players. Chelsea Palace is a fun-filled online casino fresh out of the oven. It’s was established in October 2018 and runs primarily on the popular Nektan gaming software. Nektan is the operator responsible for high-quality casinos like Pots of Luck, 333 Casino, and PlayUK Casino. The first thing you’ll notice is that Chelsea Palace takes fairness and player protection seriously. They’re regulated and licensed by not only the Gibraltar Gambling Commission (GGC) but also the UK Gambling Commission (UKGC) for UK players. Besides, they offer players alternative dispute resolution via IBAS. As soon as you land on the casino, an elegant dealer greets you a lucrative welcome bonus. The site itself is uncluttered, sleek, and easy on the eyes. It boasts of the familiar Nektan design and embraces a calming colour palette of white, black, and golden brown. The menus are accessible yet low-key, leaving important things like games to take all the spotlight. In short, the site design makes it easy for you to start playing and rake in the big wins! Whether you fancy a spin on Starburst or experience live Baccarat at its best, Chelsea Palace has got you covered! The online casino is currently available in only English. Chelsea Palace has a rich library comprising over 650 games, out of which 375 will be slot machines. They have made a point to bring together a blend of games from both top-tier and upcoming developers. Talk about Microgaming, NetEnt, Evolution Gaming, NYX, NextGen, Realistic Games, Yggdrasil, Thunderkick, Nektan, Eyecon, Big Time Gaming, and Elk Studios. We are also excited by titles from Lightning Box, Chance Interactive, Genesis, Felt Gaming, Red Tiger Gaming, and SG Gaming. Slots: Nektan online casinos are known for their high-quality slots. And Chelsea Palace doesn’t disappoint. HD and 3D video slots are their primary focus, and they certainly did a bang-up job on them. They have included freshly launched slots, meaning that they keep abreast of new releases. There are epic slots like Cleopatra, Starburst, Bonanza, and Thunderstruck waiting for you. If you have an itch for new adventures, there are unique slot games that’ll tickle your fancy. These include newly released titles like Donuts by Lightning Box. With over 350 visually-stunning and highly rewarding slot machines, both beginner and veteran players are in for a special treat! Table Games: Chelsea Palace offers a standard blend of table & classic card games. Sit back and enjoy Blackjack or Roulette of your choice. Or try your lady luck on Baccarat with live dealer option. There are over 43 table games in various sub-genres waiting to be explored. Live Casino: Content is from Evolution Gaming and Extreme Live Gaming. So, you have unlimited access to best-of-breed live dealer games rendered at HD quality. Their UK online casino makes use of croupiers to deliver better and seamless gambling experience. This is something you can’t find elsewhere. Their live dealer portfolio includes live Roulette, Blackjack, Baccarat, Casino Hold’em and a lot more. Chelsea Palace is a fully mobile-friendly online casino, with 290+ titles available in the mobile-ready format. The whole site is optimized for play on desktop, as well as iOS, Windows, and Android devices. There are also 22 (and counting) jackpot games. Their welcome offer worth £850 is akin to those offered by elite London casinos. Upon sign-up, they’ll triple your first deposit of up to £100 and top it off with 50 free spins. But that isn’t all. The online casino will double your 2nd deposit of up to £250. Your 3rd deposit will attract a 50% match of up to a whopping £500! You must make a deposit of at least £10 to qualify for the bonus. Players must also meet a 30x wagering requirement before withdrawing their winnings. The free spins are only available on Starburst. Considering that it’s powered by NEKTAN, the gaming site is safe. It uses top-level SSL encryption for all transactions and communications across the site. As mention at the beginning of the Chelsea Palace casino review, they carry dual licenses by GGC (Casino RGL No.054) and UKGC (licence 000-039107-R-319400-006) for utmost transparency and player protection. All withdrawals come with pending time of 72 hours, which is not strange but a little long. You can expect withdrawals made with e-wallets to be processed within 24 hours. Debit and credit card withdrawals last between 3-5 days. If you decide to use bank wire transfer, you can expect the money to hit your account in 3-7 days. Canadian dollars, Euros, British pounds sterling, New Zealand dollars, Swedish kronor are the only currencies accepted at Chelsea Palace. There are two countries that are expressly restricted from accessing the casino, Australia and the US. Still, you might want to sift through the T&C’s just to be sure you’re eligible. Site’s support is currently only available in English. However, you can get customized help and support on phone, via email, and through live chat. You can always get quality help 24/7. 2018 might go down as the busiest year in online casino history. And the entry of Chelsea Palace is certainly one of the few highlights of the year. The site comes with a familiar Nektan design, and everything is in the right place. They have a decent amount of high-quality games from both top-tier and smaller gaming developers. 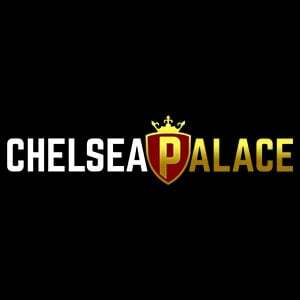 With their games offering RTPs ranging from 96% to 98% and elite-level welcome bonuses, Chelsea Palace is worth a try.